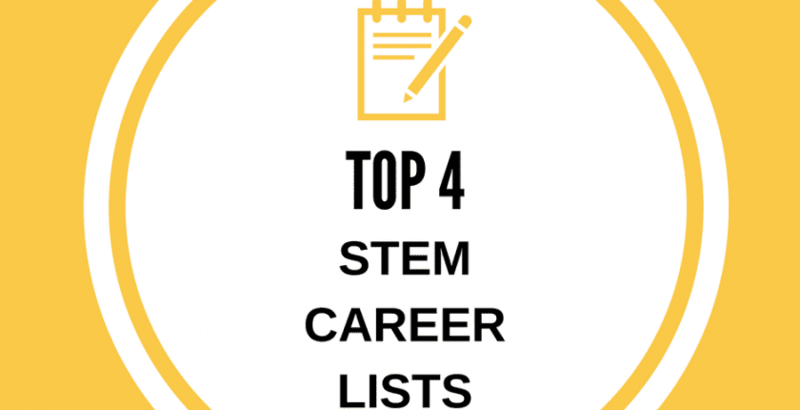 Career In STEM features four interactive lists of STEM careers! Want a career that is a perfect match to your personality? Visit the STEM Careers by Personality page! Looking for a career that relates to your interests and passions? Check out the STEM Careers by Interest page! Third, browse nearly 70 STEM careers in alphabetical order on the STEM Careers List page. And last but not least, hear about different STEM careers directly from the STEM professionals themselves in the growing STEM Careers Gallery! No mater where you start, you will find free resources for each career including video, interactive game, and downloadable career information sheet. ONET Online has an extensive glossary of STEM careers, which is conveniently divided and organized in different ways. Click the link above to view over 100 STEM careers in alphabetical order. You can also use ONET’s features to be matched to your perfect career based on your abilities, interests, activities and skills required in each job or even how green the job is. It is a very comprehensive resource, and is text-heavy at a fairly high reading level. We see this site as most appropriate for older teens and college students. STEM Study is maintained by Florida Polytechnic University. In addition to their quick guide to STEM career opportunities, STEM Study has articles on various STEM topics as well as tips on applying to college and the cost of tuition. There are also sections of the website that discuss whether or not a student should take the SAT versus ACT, as well as plenty of informative videos to watch. Click the link above to visit the STEM Careers Glossary with hundreds of STEM careers in an alphabetical list. Maintained by the the United States Bureau of Labor Statistics, this interactive site offers many student-friendly resources for career exploration. Not only do they help match students to their ideal careers based on the fields that interest them, they also have activities such as memory games, crossword puzzles and quizzes. It’s an awesome site for students of any age!